You are at:Home»Posts Tagged "Alumni"
Alumnus David Skorton, ‘74 MD, secretary of the Smithsonian Institution, has been named the president and CEO of the Association of American Medical Colleges. 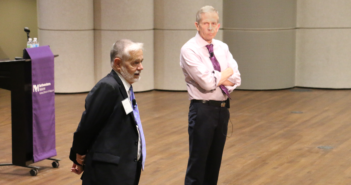 The longest-serving chair in the department’s history, Schafer will be remembered as an excellent surgeon, a trusted mentor and a visionary leader. 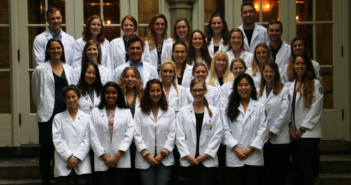 The Feinberg Physician Assistant Program raised awareness about the profession and celebrated current students and past graduates as part of National PA Week. Todd Kuiken, ’90 MD, PhD, ’91 ’95 GME, professor of Physical Medicine and Rehabilitation, Surgery and Biomedical Engineering at Northwestern shares his personal story. 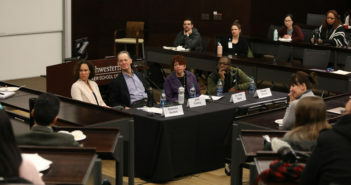 Feinberg alumni discussed their careers in biotechnology and pharmaceuticals and highlighted common pitfalls for physicians to avoid when transitioning to working in industry.